This blog, written by Christina Torres is reprinted from the October 15, 2017, Education Week Teacher, and published with permission from the author. The NCTE Intellectual Freedom Center joined other First Amendment organizations to protest the challenge. Fortunately, the challenge has now been settled and To Kill a Mockingbird is back in the Biloxi, Mississippi, Schools. So, a confession: To Kill a Mockingbird is not my favorite book to teach. Don’t get me wrong—I have a lot of affection for the book. I read it as a 9th-grader (though, even then, its magic didn’t make sense). I’ve taught it for four years now, largely using Facing History’s brilliant “Teaching Mockingbird” Curriculum. I have a powerful experience whenever I teach the book. Still, I’m just making clear that I’m not a die-hard “TKAM” fan. I think the first few chapters can feel really slow for kids (I know, Lee is world-building, but it’s hard to see that at 14 and it feels long). I think Atticus Finch, as brilliant a character as he is, falls into some dangerous “white savior” tropes (something that both the Facing History curriculum and this fantastic lesson from Teaching Tolerance that I’m literally using this week help try and combat) that need to be discussed and dissected. Yet, here I am with a full-throated defense of continuing to teach the novel in classrooms if it is the text a teacher wants to use. 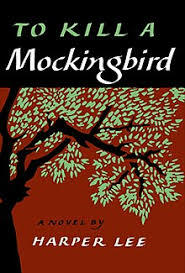 Recently, a Mississippi school district pulled To Kill a Mockingbird from its 8th-grade reading list because the use of the N-word made students feel “uncomfortable,” and so the district planned to find another book. Interestingly, with all the outcry its easy to forget that To Kill a Mockingbird is one of the most frequently challenged books in educational settings. I’ve seen folks complain about everything from the N-word to the idea that the injustices make kids “feel sad.” It’s easy to forget that the story of Tom Robinson and the injustice he faces often hits people right in the gut, makes them feel… not-good in some capacity, and the general reaction many have to that feeling is to try and squash the source. I understand the discomfort; as someone who reads the book aloud to students, I feel uncomfortable every time I say the N-word while reading. And I should feel uncomfortable. The word is heinous and designed to cause discomfort. The thing is, if I don’t name that struggle with my students, they lose the opportunity to learn about the gravity of that word, where it comes from, and why it shouldn’t be used. Here’s the thing: education isn’t here to make you feel comfortable. A good education should, inherently, cause us discomfort. Part of the “enlightening experience” built into the definition of the word “education” itself is shining light into the darkness of our own ignorance. When has that ever felt good? Don’t get me wrong, I think creating a safe space for students is paramount (which I’ve written about here and here). There’s a big difference between a “safe space” and a bubble, though. A safe space creates a world in which students feel comfortable being themselves and having difficult conversations in a way that will validate and challenge each other in healthy ways. A bubble hides kids from the world’s real problems and allows them to believe that what they assume about the world is correct. The worldview of most adolescents, however, is very often not correct. The worldview of many adults is not correct. Heck, the world is not currently correct. Oppressive systems still ensure the disenfranchisement and unequal treatment of people not just based on race, as portrayed in To Kill a Mockingbird, but for other reasons, such as gender and sexuality (to name a few). We are still in a society that is incredibly divided and focused on power in a way that causes us to be far from kind to each other. Books like To Kill a Mockingbird make us uncomfortable because it shows things that not only upset us, but it shows us things about ourselves that may upset us. The novel shows us the danger and nuance of believing in “nice people.” Walter Cunningham, who we have believed to be a kind friend of the Finch family, is the same man who plans to lynch Tom (and the same man who is convinced to call it off). The Maycomb ladies are educated and full of decorous habits, yet build their self-worth on colonialistic missions and continual judgements. Lee’s novel makes us question the difference between “nice” and “right,” and in doing so holds up a mirror to own actions in a way that, yes, can make us feel uncomfortable. “Acting as if race is no longer a factor in our society is part of the problem. Acting as if it is too difficult or offensive to talk about is part of the problem. We have not, in fact, overcome racism. The racists in our society must be confronted. They must not be allowed to assume our silence is acquiescence. In the book, the Finch children, Scout and Jem, grow when they confront evil. They discover prejudice and overcome it. And that is because their father, Atticus, treats them maturely and guides them in the right direction. When I consider what I would like my legacy as an educator to be, it’s a big question. Yes, I’d like to be remembered as kind and loving (even when upset with my kiddos). More importantly, though, I’d like to be remembered as a teacher who made students think. I’d like to hope that, when the time comes, I more-often-than-not choose to be courageous enough to challenge my students (and myself) to be, do, and act better. I think most teachers want to enhance their students’ critical thinking skills. This is where we need to meet students to challenge and change them. We don’t meet them there out of frustration or condescension, but out of a deep love and care for their growth. We meet them there because we know that the only real change in life will make them uncomfortable and because instead of sending them in alone, we want to make sure we’ve provided them with the tools and skills to face that challenge head-on. So, let’s love our kids. Let’s love them enough to teach them how to handle discomfort. Let’s love them enough to teach them the oft-quoted (and perhaps hackneyed) idea that, as Atticus Finch teaches Scout in To Kill a Mockingbird, they “never really understand a person until [they] consider things from his point of view […] until [they] climb into his skin and walk around in it.” The novel gives us the chance to show them this skill, and walk alongside them as well. Perhaps, that is ultimately one of the most important parts of our work: challenge our students and walk alongside them in that discomfort as we grow with them. 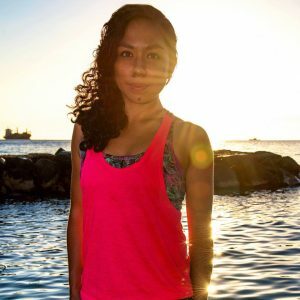 Christina Torres is an English teacher in Honolulu and a blogger for EdWeek Teacher. Find Christina online on Twitter @biblio_phile, on Facebook :/christinawrites, and on her website http://christinatorres.org. Millie Davis directs the Intellectual Freedom Center at the National Council of Teachers of English (NCTE). Millie's passion is working with literacy teachers across the country and beyond whose passion for their students and their students' learning is their reason for going to work each day.